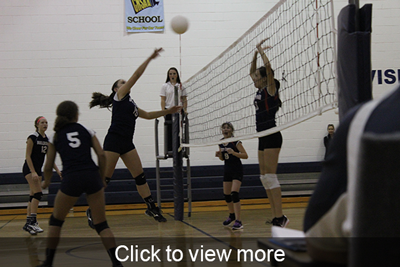 We believe that the opportunity to participate in sports is an important part of the total educational experience. Students have the chance to develop a positive self-concept and enjoy a sense of belonging to a team. Winning and losing is part of every person’s life. 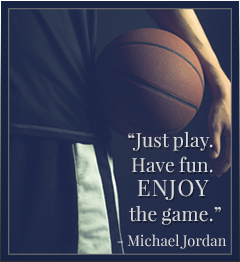 Participation in sports teaches young people how to win and lose graciously and how to practice good sportsmanship. We assess a $60 per sport/activity fee with a family maximum of $480 for the school year. Please pay sport/activity fees when the sport occurs (fall sports in the fall, spring sports in the spring), prior to the first event. The fee is non-refundable after the first competition. If a student participates in more than one sport/activity in the same season, the student’s family is responsible for paying the participation fee for each. We offer concessions at many of our middle school home sporting events. We encourage parents of our athletes to volunteer at least once during the season. Please sign up to volunteer in concessions. We are happy to provide necessary training. If you are a middle or high school student who is interested in volunteering in concessions, please contact Garner Agone, Middle School Athletics Director, at gagone@universityschools.com. You can earn community service by volunteering. We use the profits from concessions to help purchase equipment and jerseys for the athletes. We are so appreciative to all our parents for their support of our Bulldogs! We have transitioned over to an online registration process for all sports. Register your student for sports. Registration is now open on Family ID for middle school track for seventh and eighth graders, and Brain Bowl for all middle school students. The fee for each of these activities is $60, which you can take to either office. You must make a payment before the first meet. To register, please visit our Register for Sports page. This will take you to Family ID to complete the registration process. The first day of track practice will be March 4. Check in here for the current team schedules. Away game details can be found on the school calendar. These details include: school name and address for the away game, bus departure time, and a map to the location. Are you wanting to get your Bulldog apparel? Check out what we have available in our online store!